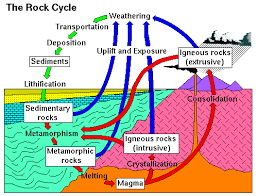 an idealized cycle of processes undergone by rocks in the earth's crust, involving igneous intrusion, uplift, erosion, transportation, deposition as sedimentary rock, metamorphism, remelting, and further igneous intrusion. Sedimentary rocks are rocks made from deposition of material at the Earth's surface and within bodies of water. 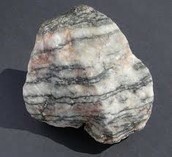 A metamorphic rock is a result of a transformation of a pre-existing rock. The original rock is made by very high heat and pressure. Igneous rock is one of the three main rock types, the others being sedimentary and metamorphic. 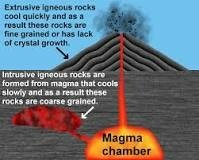 Igneous rock is formed through the cooling and solidification of magma or lava.